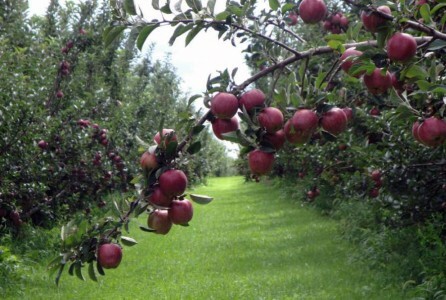 Your family will enjoy the option of picking their own apples at Boggio’s. With over 1,800 apple trees, you will be able to find that perfect apple and have the option of purchasing a peck, 1/2 bushel or bushel bag to fill with whatever apples you find in our orchard. Our wagon ride will drop you off and pick you up whenever you are done filling your bags. If you would like to pick your own pumpkins we supply you with clippers and a wagon to haul your pumpkins back in.